NOTHING HAPPENED EARLIER. DEFINITELY NOT A BLANK ROUNDUP. Also no little narrative gags again, super sleepy. A dramatic reading of White Box popped up! Check it out here. My name is Karina and I am a pony lover/collector/fan/you name it. I wanted to reach out to you guys to share what I've been working on. 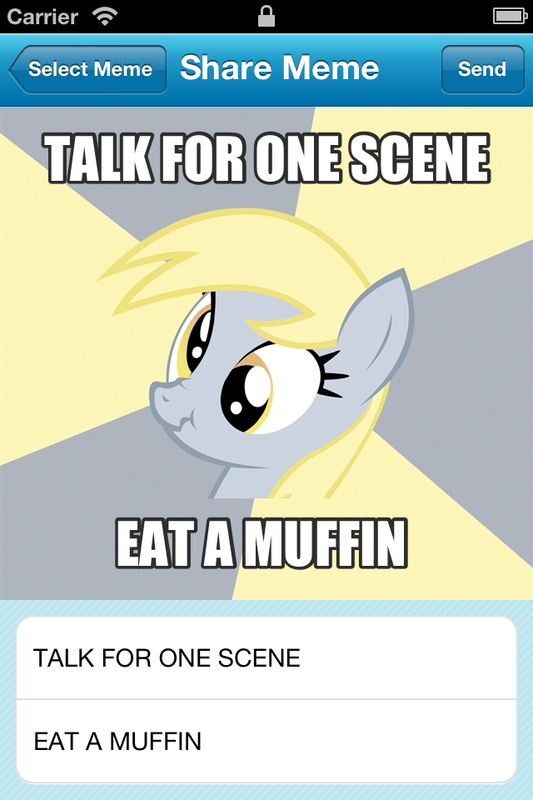 We are a small startup building a social sharing app, and having some creative control, I've added some My Little Pony FiM things in our app (memes! ), that I thought you'd like. 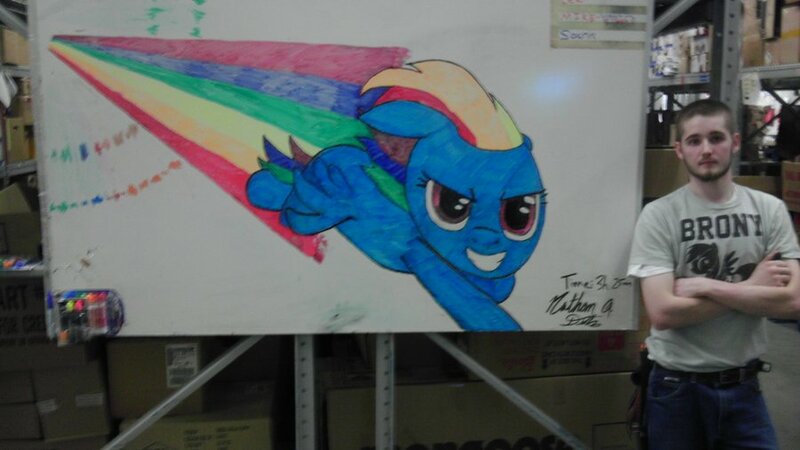 Right now we have Pinkie, Rainbow Dash and Derpy, but hey, if the community wants some, we can add more! Check it out! Again, not much to say here! Check out the details here. The Sixth Episode of bobby.p's and Denegoth's podcast, this week Live in London at the 21st Finale Meet - Art Contest, Guessing what will happen in the Episode, Singing and Drunken Reaction to the Finale. London was again invaded by Bronies. Our Target: The Horse Bar, London South Bank. 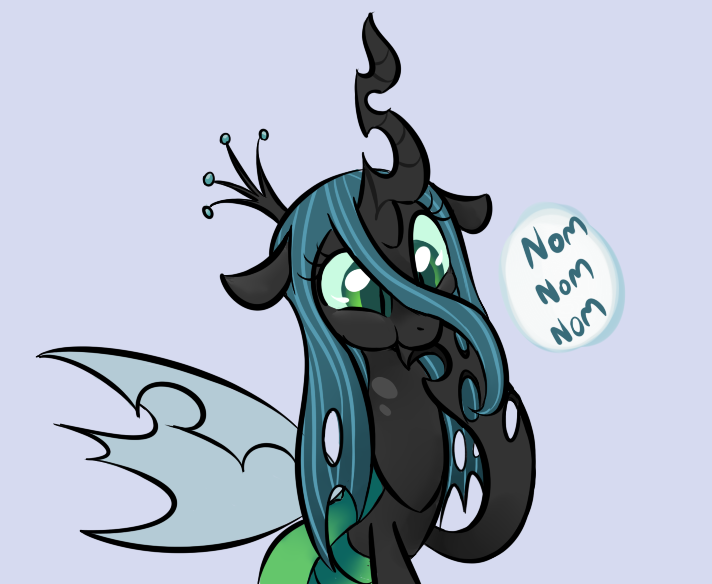 We did a Quiz, Craft Tables, The UKofE Podcast, A vote and viewing for the best episode of Season 2 (A Friend in Deed), Karaoke, a Sonic Rainboom Riff, a pony Drinking Game, and of course, the season finale! 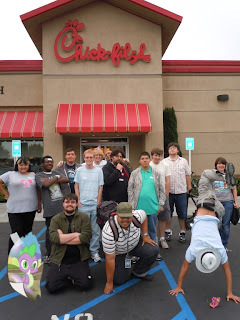 On April 21, fifteen or so bronies from Southern California got together at Chick-Fil-A and made custom pony tshirts at the tshirt store down the street. In true SoCal fashion, we also watched some ponies on a tv in the back of somebody's car and did a Target walk-through. Here's the gallery. 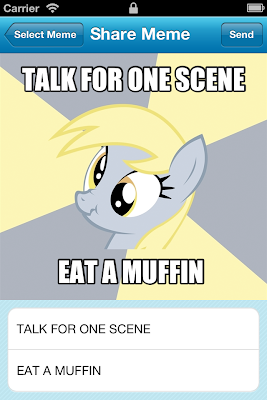 3rd Yorkshire Bronies meetup will be taking place in Leeds, UK on the 28th April. Hope to see you there! Sorry for the short notice! $20 to $25 admission fee (Depending on the outcome as hiring cost a lot). Description: Since Sethisto is too busy playing TERA to get in on the GW2 beta action, he gave me his permission to create an EQD fan guild. My hope is to establish a large, thriving community of bronies within GW2 to continue playing together for subsequent BWEs and after release (with more organized events post-release). PvE and PvP players are welcome, and hopefully we can get enough players together to claim a WvW keep in the name of ponies. If this isn't a complete flop, I'll work on setting up a guild website and forums after this weekend to coordinate future guild activities. Note: I'm not sure if guild membership is restricted by home world, but WvW participation definitely is, so you will need to pick Jade Quarry if you want to WvW with us this weekend. Love is in Bloom Extended Released! MLP Facebook Design a Pony Contest Begins! Pony Shoutout in Aquabats Tomorrow!